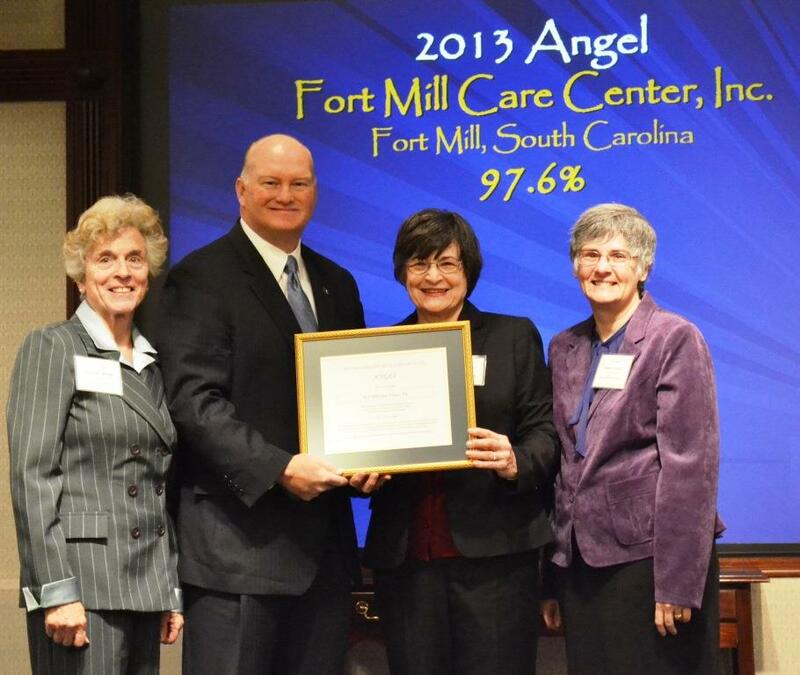 The Care Center has been designated by the SC Secretary of State, Mark Hammond as an “Angel”. Ten agencies in the state are awarded this designation annually for exempliary cheritable giving. Eileen, Carol and Jeane accepted the award in Columbia today on behalf of all our volunteers on November 20, 2013. Here is an excerpt of the press release. (Columbia, SC) – South Carolina Secretary of State Mark Hammond announced today the 18th annual Scrooges and Angels list of 2013. The ten Angels were recognized at a press conference and honored with a reception in the Secretary of State’s Office following the announcement. The Angels were selected by review of financial reports submitted annually to the Secretary of State’s Office, as well as by nominations from the public. To be selected as an Angel, the charity must have devoted 80 percent or more of its total expenditures to charitable programs; the charity must have been in existence for three or more years; the charity must make good use of volunteer services; the charity must receive minimal funding from grants; and the charity must be registered with the Secretary of State to solicit funds in the state of South Carolina. Each year the Secretary of State’s Office attempts to showcase Angels with diverse missions, from across South Carolina and outside the state.